Although Bobby Bare is generally considered to be one of Nashville’s leading singer songwriters, with a massive portfolio of compositions, many of his biggest hits were interpretations of other writers’ material. In his long and varied career he has embraced the output of many writers and helped to establish them within the genre. 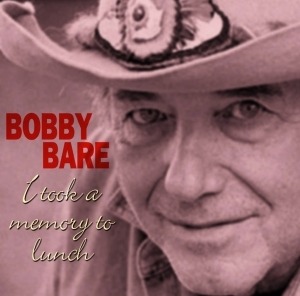 This is the first time that this rare collection of Bobby Bare tracks has ever been released on CD. Made up of Bare’s interpretations of songs written by Kris Kristofferson, John Denver, Tom T Hall and many more of songwriting’s greats, it’s an excellent classic country collection.